The stylish contemporary Cruze shower package, includes a triple concealed thermostatic shower valve, a 200mm round fixed shower head with wall mounted arm and 4 adjustable anti-limestone flat round body jets. Bring substantial elegance to the modern bathroom, the Cruze shower package offers thermostatic showering via three easy-to-operate controls. Separate controls for temperature and flow. 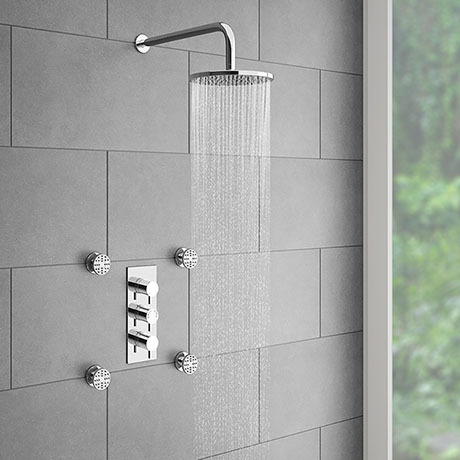 Operates two shower accessories separately or simultaneously.